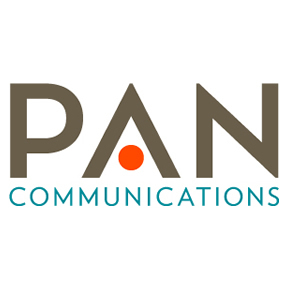 PAN Communications is a leading integrated marketing and PR agency servicing B2B tech and healthcare brands. Recently named “Tech Agency of the Year” and “Best Mid-Sized Agency to Work For” by Holmes Report in 2018, the firm has office locations in Boston, San Francisco, New York and Orlando. PAN moves ideas by creating compelling stories, driving intent and influencing markets across all forms of media. The firm offers the agility and personalized service of a mid-size agency while leveraging national and international relationships to manage large scale communications programs for brands such as SAP, AppDirect, Radial, MediaMath, Cogito and Maestro Health. PAN strives to help today’s modern marketers by integrating a combination of services to better engage with target audiences and move markets. For more information visit our website at www.pancommunications.com, follow us on Twitter (@PANcomm) or call 617.502.4300.